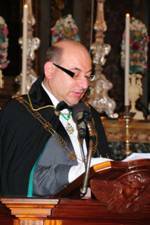 Grand Chaplain – The Most Reverend Monsignor Anton Gauci ECLJ CMLJ – Grand Priory of Malta*. * The Most Reverend Monsignor Anton Gauci ECLJ CMLJ, Past Grand Chaplain of the Order; Grand Prior Emeritus of the Grand Priory of Malta and Dean of the Cathedral Chapter of Gozo of the Roman Catholic Church , left this world and joined our Heavenly Father on the 11th November 2013. May the Lord grant him eternal rest. The Grand Chancellor of the United Grand Priories and Chairman of the Saint Lazarus Foundation, H.E. Chev. Massimo J. Ellul GCLJ GCMLJ. Under his watch, the Order enjoyed rapid growth and achieved significant Hospitaller achievements worldwide, which brought a number of national commendations to the Order from various governments and heads of state, including U.S. President Barak Obama. The Grand Secretary of the Order, the Chevalier Robin Slack KCLJ KMLJ. His legal experience as a Scottish Magistrate and Justice of the Peace proved to be constantly useful in ensuring that all Lazarite operations worldwide are handled in a transparent and proper structure according to the laws of the land in the jurisdictions in question. 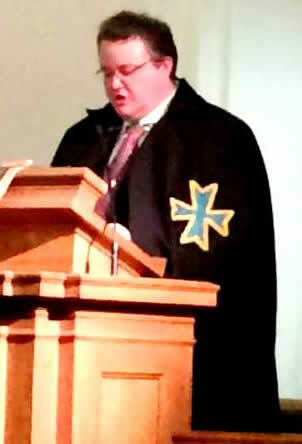 The Grand Treasurer of the Order, the Chevalier Thomas W. Nash KCLJ CMLJ, with his innate Canadian flair for precision and professionalism, ensures the smooth financial initiatives of the Order and the coordination of the financial logistics of its worldwide philanthropic and Hospitaller commitments. The Grand Marshal of the Order, H.E. Chevalier Stephen Groeneveld GCLJ. His hands-on Hospitaller work in South Africa inspired many a Lazarite officer of the primary need to emulate the Hospitaller work of our medieval forerunners apart from the underlining and preservation of the old and beautiful ritual of the Order. The Grand Chaplain General of the Order, H.E. The Reverend Monsignor Joseph Vella Gauci ECLJ CMLJ. Apart from his past prestigious position within the Catholic Commission of the Bishop’s Conferences of the European Community, the Grand Chaplain General's academic background related to ecumenism and inter-faith dialogue proved to be essential in furthering the spiritual growth of the Order in harmony with the various Christian denominations embraced by its members. The Grand Chaplain General is also an accredited Ambassador to UNESCO. 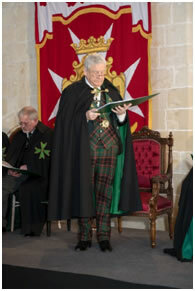 The Grand Registrar of the Order, the Chevalier Christopher Chambers of Skighaugh. As Chancellor of the US Grand Priory, he has led this jurisdiction from strength to strength and is an intermediary for the Order with various international institutions and Royal families. In April 2010, the elected Grand Officers of the Supreme Grand Priory were unanimously confirmed in their Grand Offices for the period April 2010 – April 2012. 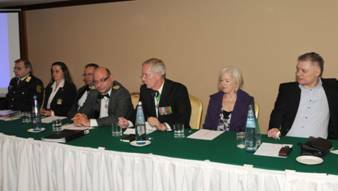 In 2012, at the International Lazarite Gathering, and consequently in 2014 and 2016, the Grand Officers were again reconfirmed in their positions within the Council of Knights, with 2016 seeing the introduction of the position of Grand Registrar General. Furthermore, the Supreme Grand Priory admitted and officially sanctioned the representatives of the various new Grand Priories forming part of the United Grand Priories into its administrative organ. The Grand Chaplain General, who shall be appointed by the Supreme Grand Prior, on behalf of The Grand Council, shall be a Confrere of the Order of senior ecclesiastical rank, and shall hold office during the pleasure of The Grand Council or until resignation. The Grand Chaplain General shall be the advisor of The Grand Council in all matters of an ecclesiastical nature and shall determine the form of religious service and prayers to be used on such occasions as are not provided for by the Statutes or Regulations. Mons. 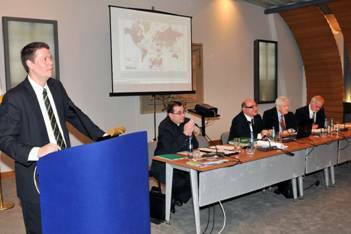 Joseph Vella Gauci is a Past Officer of the Secretariat of COMECE (Commission of the Bishop’s Conferences of the European Community), a Roman Catholic Monsignor and an accredited Ambassador to UNESCO. The Grand Registrar, is appointed by the Supreme Grand Prior, on behalf of The Grand Council, and shall hold office during the pleasure of The Grand Council or until resignation, shall preside over the registration of the works and jurisdictions of The Grand Council and shall be responsible, to The Grand Council, for the receipt of such. Christopher Chambers is executive director of Software Architecture at Universal Electronics Inc in the US and has successfully patented scores of his own original work with the relevant authorities worldwide. 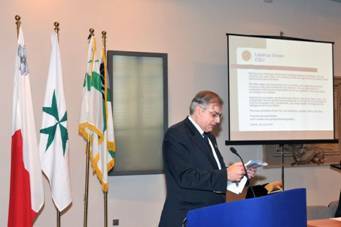 Responsible for liaision related to operations within the jurisdictions of the Grand Priories of Malta and Gozo. Responsible for the growth of the Order in Central and Eastern Europe. 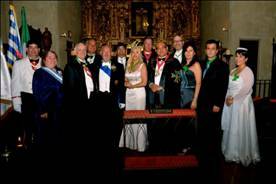 Appointed as Chairman of the International Heraldic Committee within the Order. 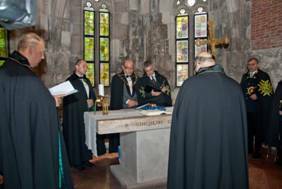 The Consecration of the Grand Priory of Hungary in the private chapel of the Presidential Palace, Buda. 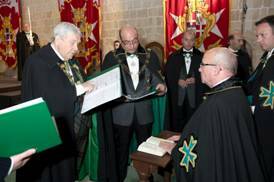 As per the Constitution of the United Grand Priories of the Hospitaller Order of Saint Lazarus of Jerusalem, the Supreme Grand Priory is required to meet and elect its peers at least once every two years. In the International Lazarite Congress of 2016, the constitution was changed and the timeframe was changed to five years. Due to the rapid growth of the Order in these last years, there were various instances wherein the Supreme Grand Priory met yearly, by means of International Lazarite Congresses, in order to offer the heads of jurisdictions the possibility to meet up more frequently and discuss the needs of such a growing international Lazarite confraternity. 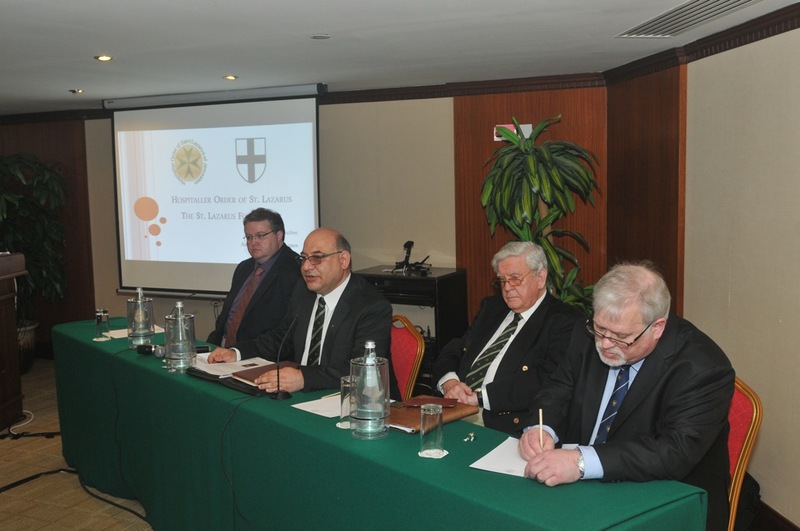 In 2012, the meeting of the Supreme Grand Priory also evolved into the First International Lazarite Symposium, which was held at the Sacra Infermeria of the Knights of Malta in Valletta. This proved to be the biggest congregation of Lazarites world-wide in these last decades. In June 2014, the Second International Lazarite Symposium was held in the Federation of Saint Kitts and Nevis, located in the Leeward Islands, which is a federal two-island state in the West Indies. It is the smallest sovereign state in the Americas, in both area and population. 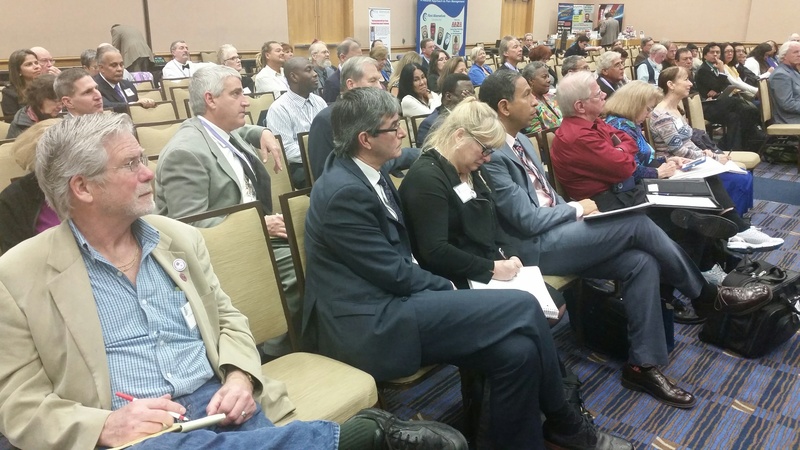 In 2016, two conventions were successfully executed for the year, the first one in Tampa, Florida (January) and the last one in Malta (April/May). In June 2017, the International Lazarite Congress will again be held in the Federation of Saint Kitts and Nevis. Delegates at the Supreme Grand Priory Meeting of 2010 unanimously applauding the resolutions of the Meeting and the re-election of the Supreme Grand Prior and his Grand Officers. 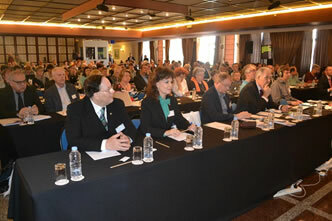 The April 2012 third plenary session of the Supreme Grand Priory meeting. which saw the biggest Lazarite gathering world-wide in these last decades. addressing the Supreme Grand Priory, April 2012. 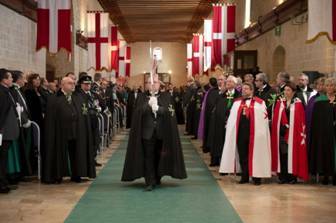 Delegates of the 2012 Supreme Grand Priory meeting, including observers from the Military and Hospitaller Order of Saint Lazarus of Jerusalem. 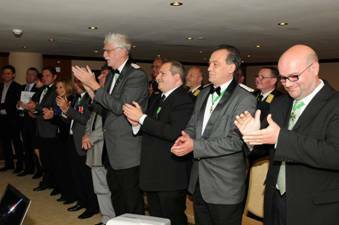 The 2012 Supreme Grand Priory meeting again unanimously re-elected the Supreme Grand Prior and his Grand Officers. 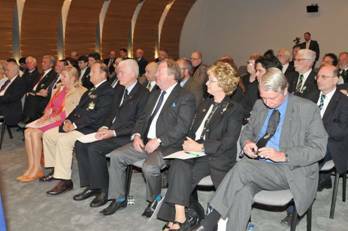 The Grand Treasurer, Chevalier Thomas Nash KCLJ CMLJ, and other Grand Officers addressing the delegates of the Supreme Grand Priory in April 2012. 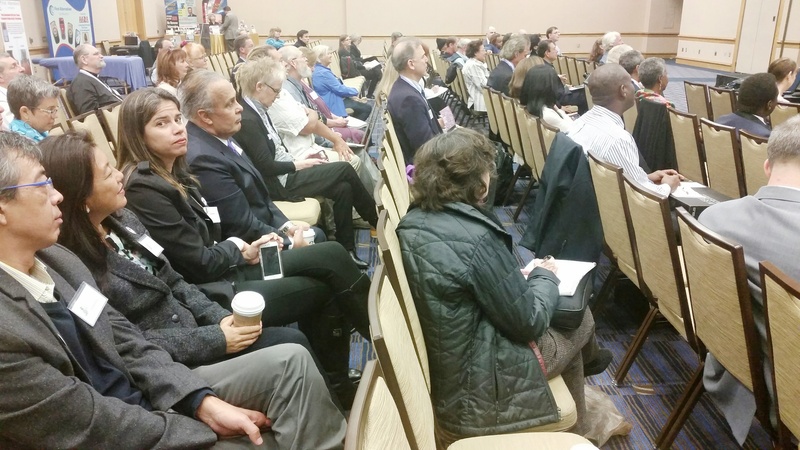 The First 2016 Lazarite Congress was held in Tampa, Florida in January and more than 200 Lazarite delegates participated in this Lazarite gathering. 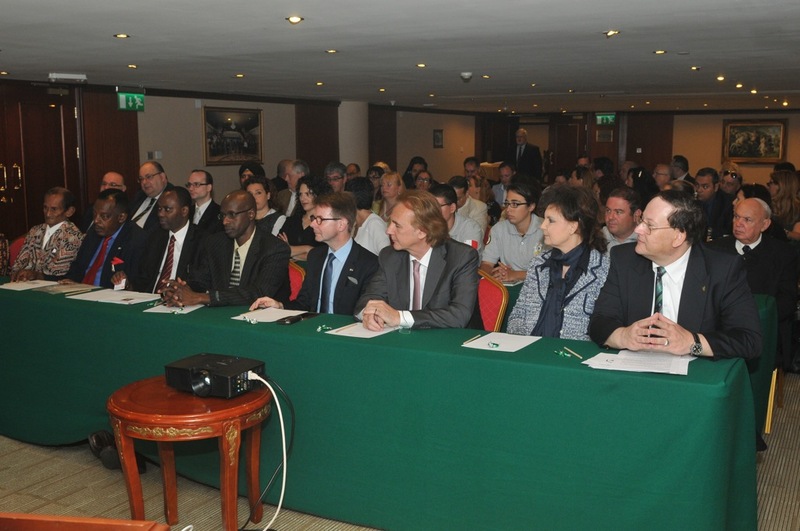 A number of pertinent Lazarite and Hospitaller issues were debated, including the consecrations of new Grand Priory in the Caribbean and the South Americas, monastic medicine in the 21st Century and how to apply it to Hospitaller work and specialized discussions related to medical breakthroughs from around the world with the participation of eminent doctors of medicine. 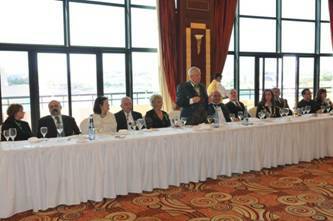 The Second 2016 Lazarite Congress was held in Malta with more than 400 Lazarite delegates congregating for this initiative with the physical presence of HRH the Raja of Kupang and the Chancellor of the Royal Household of HM King Kigeli V of Rwanda. High level deputations were conducted and the new Grand Priories of Canada, Indonesia and Rwanda were consecrated by the Supreme Grand Prior, as were the three new Commanderies in Germany. 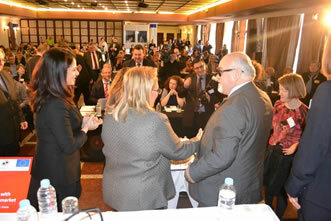 In February 2017, the Saint Lazarus Foundation co-hosted a European Conference on Inclusive Workplaces for delegates from all across Europe entitled 'Employment of Persons with Disabilities in the Labour Market.' 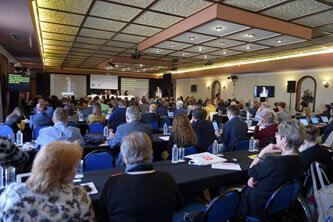 The Conference was a huge success, with over 200 delegates from the European national disability federations and the European assisted employment organisations participating. The event was co-hosted with the European Union of Supported Employment and the European Disability Forum, the latter in which the Foundation is an active member of. 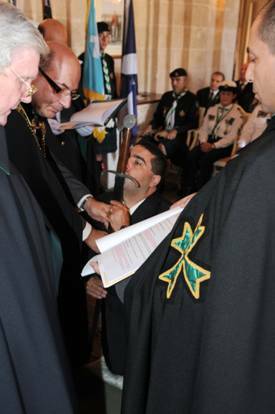 The President of the European Disability Forum, Yannis Vardakastanis and hailing from Greece, is a Knight Grand Cross of Merit of the Hospitaller Order of Saint Lazarus.